For the past two summers, I’ve participated in a CSA box (Community-Supported Agriculture box) venture where I’ve bought produce from a local farm on a weekly basis. It’s like going to the farmer’s market but instead of picking your produce from various booths, you receive a box with whatever is grown at the farm and available that week. The wonderful part of this experience is discovering new foods. 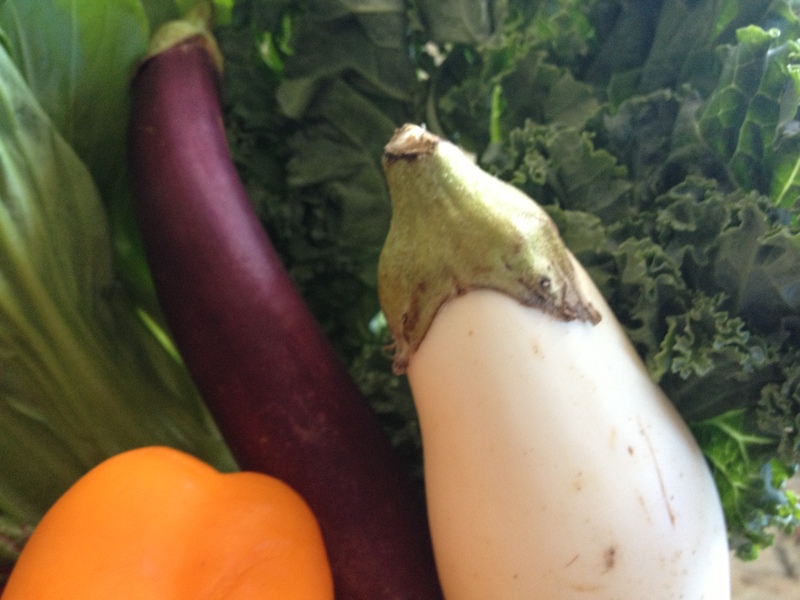 The first time I got my CSA box this past summer, I found some white, pear-shaped vegetables that looked like eggplants. They indeed were eggplants. I never knew that eggplant could be white! Regardless of its color, eggplant has a spongy texture with a shiny, smooth skin. Eggplant can be eaten with or without the skin. At the center you will find soft, edible seeds that are part of the flesh. Eggplant can spoil easily so it should be cut when you are ready to prepare it. Because of its spongy nature, eggplants tend to absorb liquids like oil while cooking. To reduce its absorption and its bitterness, you can salt the eggplant before cooking. To do this, cut the eggplant as you wish, sprinkle it with salt and let it rest for 30 minutes. Before cooking, rinse the eggplant and prepare as directed. Growing up we ate lots of purple (almost black) eggplant as it is a staple of southern Italian cooking. Our mom cooked eggplant in a variety of tasty ways – fried, baked, grilled, in sauce, stuffed with bread crumbs and garlic. Eggplant is a versatile vegetable! 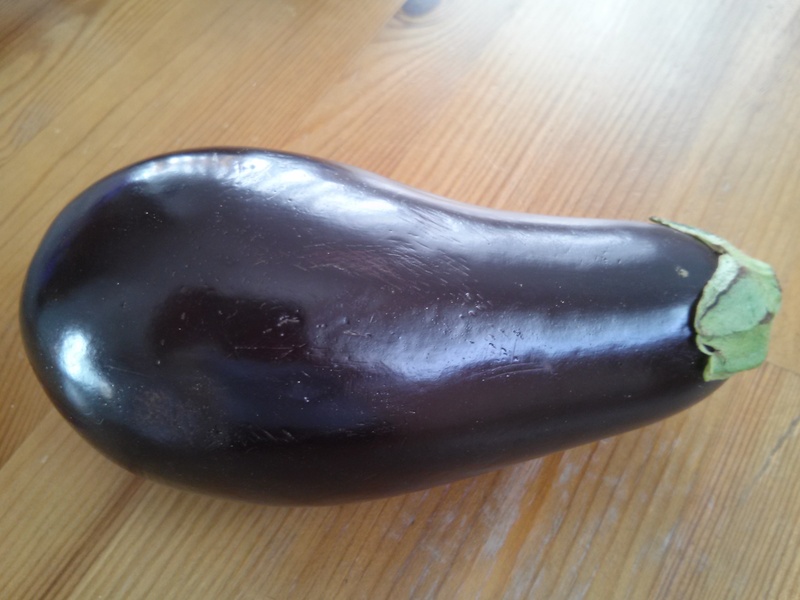 For some people, eggplant is an acquired taste since it has a slight bitter taste, especially if not prepared well. 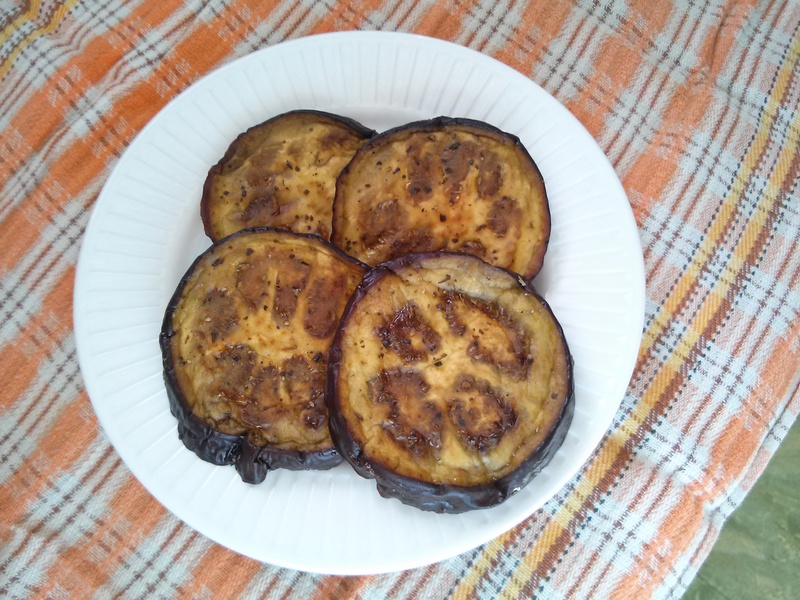 If you have not tasted it before, give eggplant a try. Eggplants are in season between August to October; however, they are available all year round. From Canadian Living.com, a vegetarian version of lasagna uses eggplant and spinach as the main events. From Whole Foods Market, this recipe is a great vegetarian alternative. It calls for burdock root in the recipe; however, you could easily substitute parsnips, carrots or sweet potatoes instead. Enjoy these new discoveries! Let us know what you like best! This entry was posted in Recipes, Weekly Blogs and tagged allergies, eggplant, fiber, healthy, manganese, new food, nutritious, potassium. Bookmark the permalink.